Why it should work: A monstrous melange of pie, cheese, caramel, toffee, cream and chocolate, given a renewed sense of purpose, courtesy of the benevolent deep-fryer. Logistics: If you want to deep-fry a cheesecake, it has to be baked and then frozen beforehand, to maintain its compactness. We wrapped it in a Mu Shu pancake, sealed it with clarified butter, and dipped it in tempura batter. How it tastes: If you’re willing to turn a deaf ear to the sad tears of your coronary artery then yes, this is good. Like, “who needs friends or family, I’ll spend my days living under a rock in Epping Forest with a wind-up torch, a sleeping-bag and a sack of deep-fried banoffee cheesecakes”-level good. Why it should work: The meaty, melt-in-the-mouth goodness of pan-fried bacon, given a crunchy, satisfying edge, usually reserved for those crispy, smoked strips. Logistics: Simply deep-frying thick slabs of bacon doesn’t do the trick, they’ll come out saturated with oil. We got some slim rashers and coated them in a layer of light tempura batter. How it tastes: The rashers were wafer-thin and golden. Luxuriously light and crispy? Yes. Chewy and salty beyond the outer crunch? Absolutely. Don’t put this in a butty or try it with a fry up. Like stalking your ex on Facebook or taking a bath, these are to be enjoyed without company. Why it should work: Deep-fried gelato is rarely done in the UK. We can only assume British business owners lack the necessary courage and passion. Lucky for you, Mr Hyde has both of those things in spades. Logistics: To avoid a big cloud of wasted ice cream, deep-freeze a pre-scooped ball first. Post-freeze, we coated ours in a batter of crushed cornflakes and cookie crumbs. And then just dropped it in. How it tastes: The Cornish ice cream has a golden, crunchy outer layer, but retains its soft, cold core. We used cinnamon batter for the ice cream, then topped it with whipped cream. Why it should work: Deep-fried chicken is good. Deep-fried chicken in a bun? Arguably better. 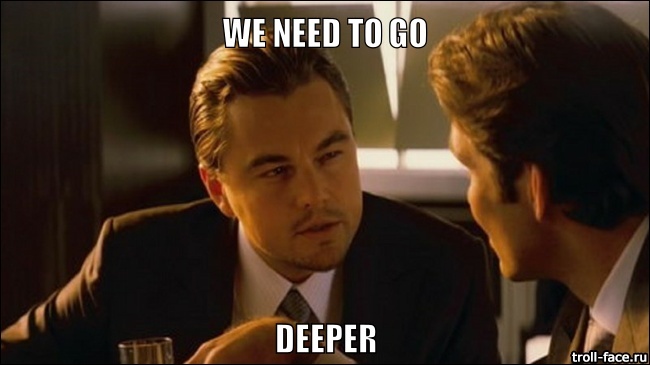 But, to quote that film, "we need to go deeper". Introducing the deep-fried, deep-fried chicken in a bun. Logistics: This has to be put in a panini press or sandwich maker first or you’ll have precious cheese going to waste. How it tastes: Colonel Sanders wishes he’d been cryogenically preserved at a low temperature so he could sample this dish. Perhaps ol’ Colonel wishes he’d been deep-fried in life-affirming batter instead. Fryogenics, he could call it. Why it should work: Did subconscious guilt influence our choosing this veggie option? No — just the fresh creamed corn, chopped jalapenos, cheddar and panko crust. Logistics: We took Bird’s in-house corn pudding, dusted it in flour and dipped it in free-range egg white. Then we coated it in another panko breadcrumb crust and deep-fried it. How it tastes: Sensational. We took a nice corn pudding and made it naughty. The fritters were served with a dollop of Kewpie mayo, which didn’t cut the taste so much as awaken the corn.